Saturday started with a little re-work on the short side of the L where the stove will sit. Turns out that counter top level was just a little bit too high, especially for Chef Gretch. 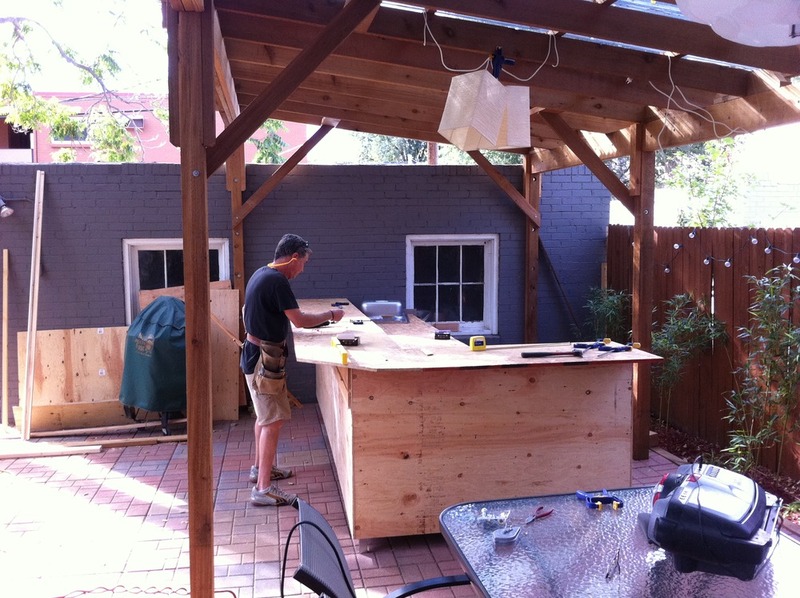 So, Frank modified the frame to have a third level which would allow the stove to be at the same level as the working counter top. While Frank was doing the stove top re-work, I made a Depot run for the counter top plywood sheets. 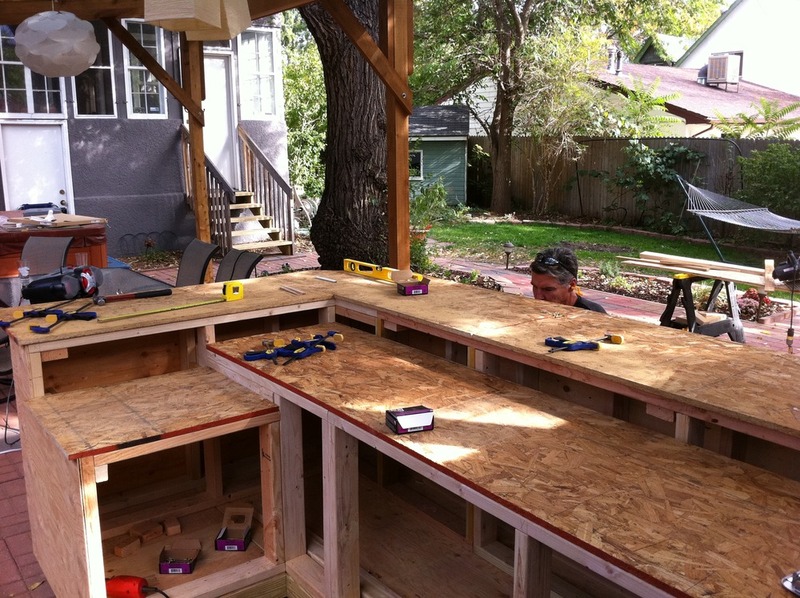 We then cut and attached the counter top plywood on all counter surfaces. Its starting to look like something. This is all looking great!! What a lot of work. But fun!